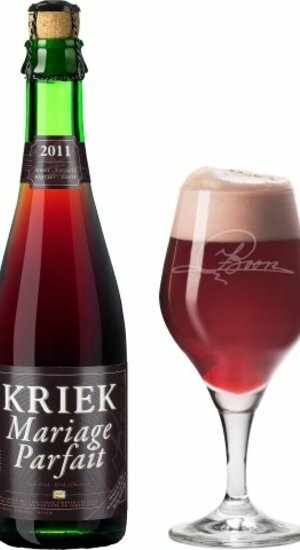 Kriek Mariage Parfait is an “Old Style Kriek” of exceptional excellence, brewed in Lembeek, the village that gave Lambic its name. It is unsweetened, unfiltered, unpasteurised and has no artificial flavours, preservatives or colourings added. “Old Style Kriek” or “Oude Kriek” is a protected E.U. appellation. 400 g of wild cherries per litre are fermented together with a strong Lambic of spontaneous fermentation and aged on 6,200 litre oak foeders (large wooden casks) for 6 to 8 months. 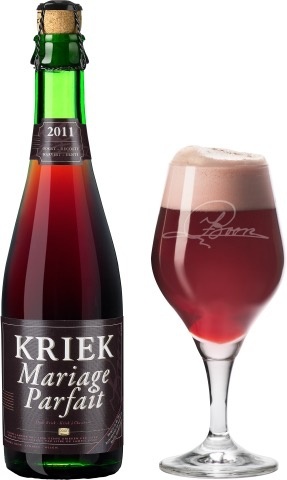 Kriek Mariage Parfait is naturally clarified and referments in the bottle. After a maturation of 6 months in the bottle it is ready for tasting. The alcohol content of this Lambic beer is 8 % by vol.